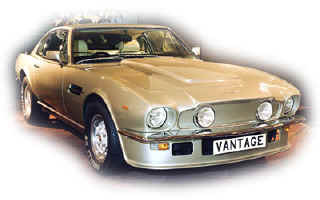 Plans were made to offer the DBSV8, the first of the V8-engined Astons introduced in 1969, in uprated Vantage form but they never saw production. At last Aston - and Britain - had its first top-drawer 'Supercar'. The V8 Vantage car that went on sale in February 1977 was quite different from anything that had gone before. It was now a distinct model, although that was not the original intent, as opposed to a higher performance variant of the standard car. 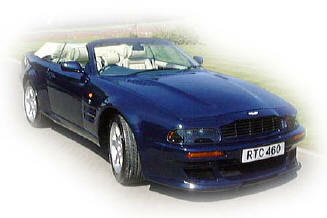 During the V8 Vantage's 12 years of production Volante and Zagato variants were also introduced. 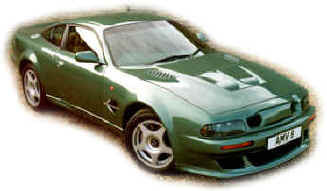 The next Vantage to appear was loosely based on the Virage. Revised nose and tail treatments identified the car externally while a supercharged V8, revised chassis and suspension were less visible under the skin. The most powerful Aston ever built, it has also proven to be the most successful and remains in production until 2000. The last of the breed: the final V8 engined Vantages were a special run of eight Vantage Volantes with the shorter wheelbase of the V8 Vantage coupe. Offered only by special invitation to Aston's most loyal customers, each was finished to the owner's individual requirements. Options included the Le Mans bodywork, 600 bhp engine option and various body enhancements.